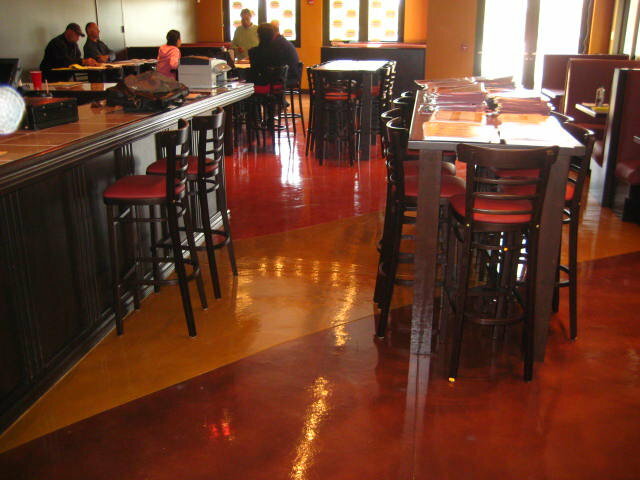 SunAcid is Sundek’s permanent acid based color system and a very popular concrete treatment in Austin. 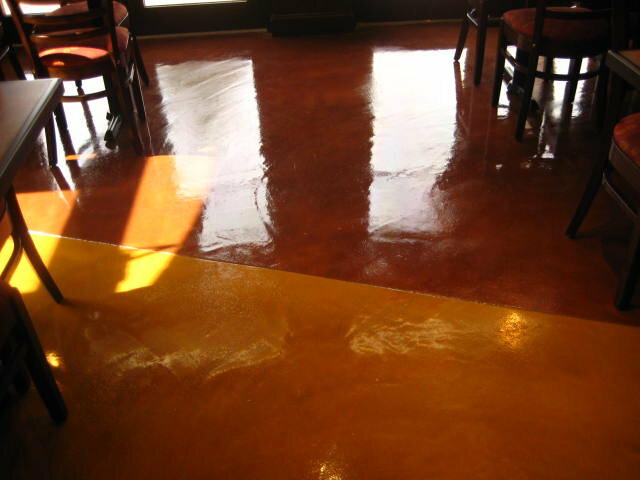 The permanent, mottled, translucent color effect that SunAcid creates is achieved through a reaction of muriatic acid within SunAcid to the lime found in the concrete. This reaction creates a permanent, variegated, neutral earth toned color resembling marble or stone. 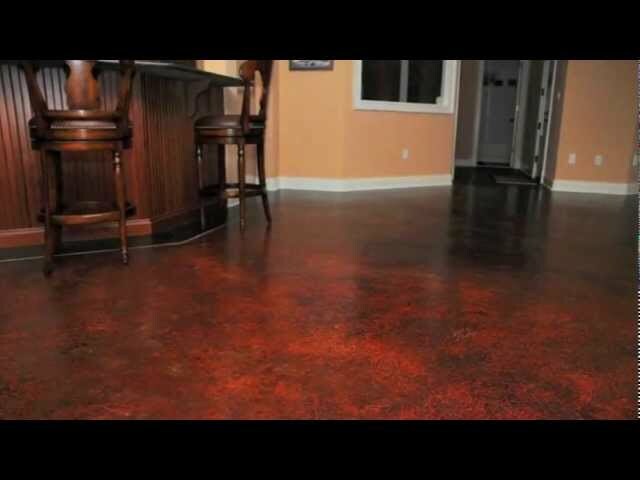 The color deposits left behind in the pores of the concrete do not chip, peel or fade. Features and benefits: SunAcid is colorfast and does not chip, peel or fade in UV light so this makes it ideal for exterior surfaces or interior surfaces where the building has a lot of windows and light coming in. SunAcid is a permanent coloration solution, and offers natural, earthy rich colors. 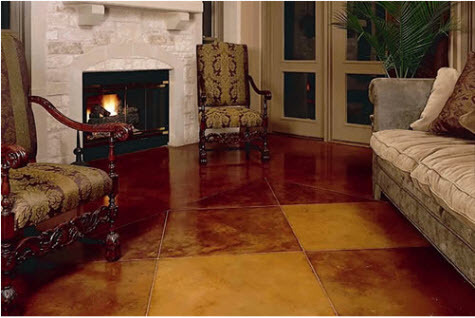 Where to use it: SunAcid can be used in a range of both horizontal, vertical, interior and exterior architectural decorative concrete applications including floors, countertops, walls, concrete furniture, mantles and more. How it’s done: SunStain is sprayed onto the concrete surface and then worked into the pores of the concrete with either a broom or brush. It can also be left alone and not agitated in. 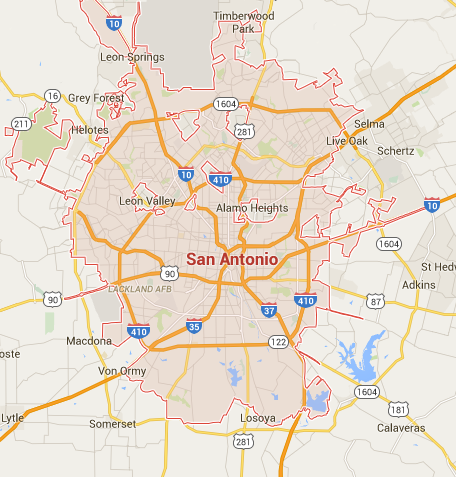 A second coat can be applied overtop of the first for a more coverage. Once the reaction takes place and the surface dries, the residue must be neutralized, rinsed and cleaned. Not always necessary for SunAcid, a protective seal coat can be applied to enhance and pop the colors and also to protect from normal wear and tear.